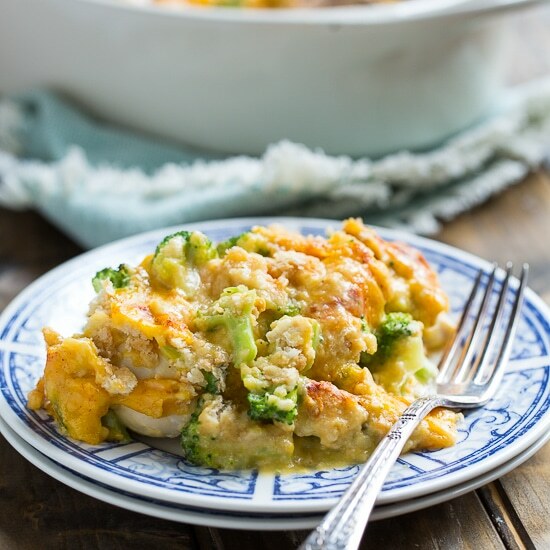 Successfully saved Broccoli Cheddar Chicken (Cracker Barrel Copycat) to your Calendar. You can also save the ingredients to your Grocery List. Tender and juicy white meat chicken topped with broccoli and a cheesy sauce with Ritz crackers. This Cracker Barrel copycat is easy to make and will become a family favorite.